opening them to wider horizons. 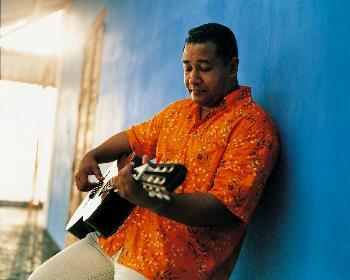 It has often been said of Teofilo Chantre that he “appeared in the shadow of Cesaria Evora” before making a name with his own records. The expression used should be corrected, since it is hard to imagine an art as bright as that of the great lady of Cape Verde spreading anything other than light. 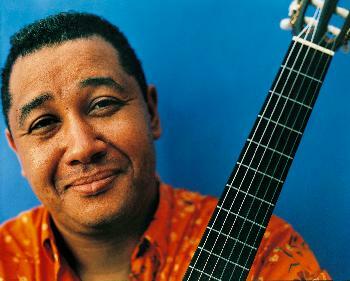 In fact, Teofilo Chantre’s name was immediately noted by lovers of Cesaria’s records, from “Miss Perfumado”, on which he was already credited with three tracks, to “São Vicente di longe”, where he provided no fewer than five songs. Teofilo also wrote the lyrics for Cesaria’s Ausencia, to music composed by Goran Bregovic for the original soundtrack of the Emir Kusturica film Underground. Since 1993, the four albums he has released in his own name (“Terra & Cretcheu” – 1993, “Di Alma” – 1997, “Rodatempo” – 2000, “Live” – 2002) have made him increasingly famous. There is a Teofilo “style”, which cannot be summed up as just Cape Verdean “authenticity”. 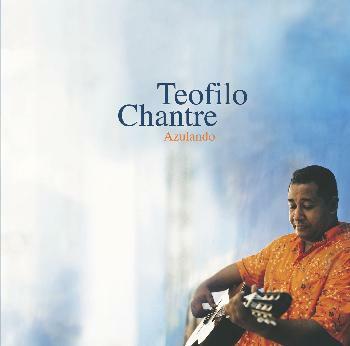 Indeed, Teofilo Chantre has lived in France for more than twenty-five years and the diversity of his musical tastes – ranging from Bossa Nova to the classical boleros of the Spanish-speaking Caribbean – have shaped his ear and heart, opening them to wider horizons. All his influences are marvellously distilled in a writing whose melodic obviousness (his refrains often seem immediately familiar) is fully equal to its great harmonic sophistication. 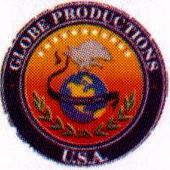 Suddenly, given modulations, given passages in distant keys, bring delightful surprises. 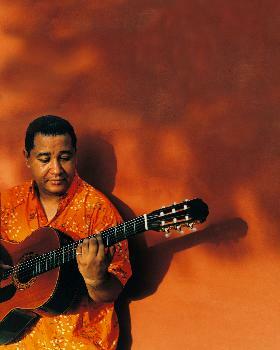 And while most of his songs are steeped in “sodade” – Cape Verde’s unique insular melancholy – the elegant swing of his coladeras reminds us that dancing is still one of the finest antidotes for sadness.